For those of us given a testimony, those were given to us as a tool to use within our ministry and as a rememberance to even ourselves, about the Existence of God, the Father of Creation. It serves as a tool, to show others going through similar situations about God’s willingness to come to our aid or to come into our lives, as long as we surrender to His Will and His Ways. God is so pure, that He can not have any thing that is bound to the ways of this world, because He says that His Ways are beyond those that are found here on Earth; they abide to ways of Selfless Love, Nonviolence, and Mercy. Such ways are not self gaining, but in service to others. Testimonies are evidence in someone’s life, that serve as examples of God’s Existence on this earth. Such testimonies are granted to anyone, not just those that are walking in His Ways already, but to anyone that God has the hope of changing in heart, mind, body, and soul. God entrusts those who He believes will uphold His Ways, to the point of feeling convicted in showing others of His Unconditionally Loving Ways. What we must be vigilant to is how evil will use our best of intentions, to mocking and even distorting the purpose of us sharing our testimonies. 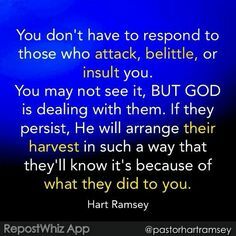 The people who were a part of our testimonies, in an adverse way, may not want to admit to their ways, and accuse you of being vengeful, in order to prevent you from sharing your testimony to help others out. God still tells you to share your testimony…because you never know who you can save through it, and that is the most important in all this. God, also says that many may just outright not want to hear or read it for the fear of knowing what they feared the most, that there is a God, who hears and sees all. God, says, this may save others too…so we should go on and share it, and it will be in their hands whether they decide to hear it for the testimony that it is. We should always put God and firstmost in our lives Evil will try to distort this in so many ways. In the end God, knows that because His Children denied binding and shackling themselves to the ways of this world that they will be considered the LEAST of this world. This is what the prophets and servants in times past have shown us, and this is what Jesus Christ, His Son, showed us as He roamed this Earth, and died on the Cross at Calvary. The Holy Spirit guides such souls that carries the Testimony that God had hand picked for them. It is up to us who were given the testimony to chose whether or not to use it for His Work for the Eternal Kingdom or not. May we all continue the good fight, and know of God’s Endless Mercy and Unconditional Love. Take up your Cross, just as Jesus Christ did, on the Cross at Calvary, as the Son of God, that roamed this earth. Though belonging to the Highest of all Courts, He took on the earthly punishment of a criminal, though not comitting any crime, and suffered the death of one. He lived by the means of a pauper, though being the King of Kings, and Lord of Lords….we become the cornerstone when we are considered the last. This entry was posted in Thoughts and tagged Armor of God, Battling Evil, compassion, Cornerstone of Faith, Devum, discernment, enduring trials, Evil, Faith, Fight over souls (good vs. evil), God's Love, God's Promise, God's Unconditional Love, God's ways are permanent, Guidance of the Holy Spirit, Jehovah, Leading of the Holy Spirit, Mother Teresa, Overcoming Trials through the Holy Spirit=God's Divine Tools for Ministry, Path to Truth, Persecution, Steadfast Faith, Take up your Cross, Testimony, The first will be the last; and the last be the first, Ultimate Symbol of Unconditional Love, Yahweh, Yeshu Christu, Yeshua, Yeshuay on December 14, 2017 by foodforthespiritualsoul. 1. Between a parent of child, to the point that it can be sacrificial. 2. Between a pet and their master. 4. Even between lifelong friends. 5. Animals within clans protect each other to the point of death. Today, we here the words of “I love you”….being thrown around to even acquaintances. It is beginning to lose its meaning. Instead of being powerful words expressing the most powerful emotion…that even Jesus Christ demonstrated to the point of dying on the Cross at Calvary, to save Mankind from being lost to darkness, forever. We see people loving based on a condition….based on terms that someone within a relationship dictates…one sided. Many explain it away as “loving differently”. Love is a universal language…a universal feeling. It is almost saying that you should “love in your own way”. Not true….everyone understands unconditional love, especially in the sacrificial sense. Such an emotion shows nothing of the self, because of the Source that it comes from, in its purest form….God, the Father of Creation. Jesus Christ, His Son, was the Ultimate Symbol of Love, when He died on the Cross…the way He led His Life, serving Mankind. 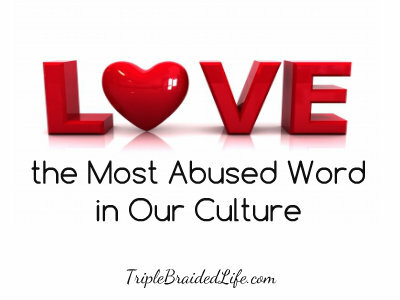 We must be mindful when we use the words of “I love you”. Because we only soil the name of the Almighty God, the source of all of it. And He does not take that too lightly. God, the Father of Creation, sees the heart inside…the soul inside. He keeps one’s actions in line to represent His Unconditional Love….there is nothing of the human self…which is soiled and sin stained. This is how evil tried to soil Mankind. Evil wants to diminish the meaning of love. So that no one will ever remember what it means to experience…to know of the Unconditional Love that come from the purest source…God, the Father of Creation. If we call ourselves, God’s Children, we must keep our hearts, minds, thoughts, actions, and souls in check…to be in line to which God, the Father of Creation shows us everyday in His Unconditional Love…through which He demonstrated through the Death of Jesus Christ, His Son, on the Cross at Calvary. As human beings we are flawed…that is why love in its purest form, can only come from strength that is supplied by the purest source…God, the Father of Creation. We can not do it by our own strength. But by the strength and guidance of the Holy Spirit. Because such love is guided by a pure source…it will be consistent from the what a soul emanates…from a person’s actions…to the love they express in words. Such a pure love is undeniable, even to the most lost souls in darkness. This is how God beams His Light into the World….and shows that He is God, through such souls that allow for His Unconditional Love to shine through them…as that which was seen in Jesus Christ, His Son. This entry was posted in Thoughts and tagged A call to help fellow man, Armor of God, Battling Evil, discernment, Divinity of Jesus Christ, enduring trials, Evil, evil ways are temporary, Faith, Fight over souls (good vs. evil), God's Love, God's Promise, God's ways are permanent, Guidance of Holy Spirit, Guidance of the Life Teachings of Jesus Christ, Jesus and His Crucifixion, Jesus Christ the Ultimate Symbol of Unconditonal Love, Jesus Christ's Influence on Leaders, Justice for "the Just", Leading of the Holy Spirit, Overcoming Trials through the Holy Spirit=God's Divine Tools for Ministry, Satan's deception, Self Refinement, Ultimate Symbol of Unconditional Love, Unconditional Love on May 12, 2015 by foodforthespiritualsoul.